Bennetts Seaweed has only ever been collected from two localities in Port Jackson, Sydney Harbour. About the size of an out-stretched hand. 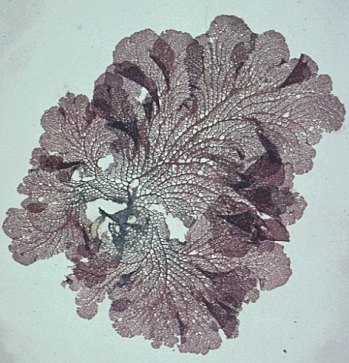 A marine red algal species which consists of a flat, finely meshed blade. Vanvoorstia (Vanvoorstia spectabilis and Vanvoorstia coccinea).